Why is an Inspection Important? Buying a building is a huge investment on your part. As soon as the paperwork is complete, you want to ensure that you’re not going to be hit with a bill. This inspection allows you to have peace of mind. You will know if everything is in working order or if something needs to be replaced. It’s not just for your peace of mind. The seller also should be aware of the potential HVAC issues awaiting. This will protect them from lawsuits and legal complications down the road after the sale is complete. What does the HVAC Inspection Look Like? Make sure the size is right. Nothing is worse than having a unit that is too small for the building it is cooling and heating. This can cause major issues with utility bills and discomfort in the location. Making sure the unit is the right size for the building is critical in saving money and time. How old the unit is – By having this inspection you can get an accurate age on the unit itself and see if it has been maintained properly over the years it was installed. This will also give you a better idea if it is something you need to prepare for replacing soon after the sale is finished. Check the ductwork – You can also find out if the ductwork is the correct size for the building you’re considering purchasing. The technician will look to make sure it is sized correctly, put in properly, and also sealed and insulated as it should be throughout the building. 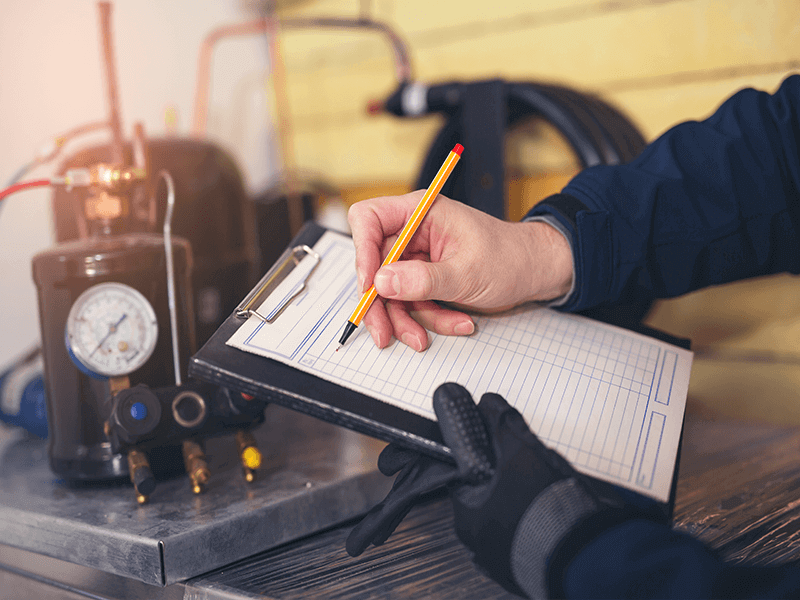 As part of your purchasing process, you should make sure to have a commercial HVAC system inspection before you sign any papers to close the deal. You will find that most trusted HVAC companies in the area will offer this type of commercial HVAC system inspection. This not only protects you as the buyer but the seller as well. Make sure before you complete your purchase that you request and schedule an inspection of the HVAC system.